Tuition fees for the Masters in Management 2019 intake are £32,500. In addition to the School fees, there is a Student Association Fee of £120 that covers the Student Association (SA) subscription, enabling students to participate in our vibrant community. There is an additional payment of £7,500 for students electing to do the fourth term. If you are offered a place on the full-time Masters in Management programme, you will pay a commitment fee of £1,500 within approximately three weeks of your offer and then a reservation fee of £6,000 within approximately six weeks of your offer. These fees are non-refundable and will be deducted from your total tuition fees. Late applicants, who are accepted, will pay the tuition fees in a shorter amount of time. There are many funding options available for you to explore. Get in touch with the admissions team to check eligibility. A range of loans, including The Prodigy Finance Loan programme, are available to help you finance your Masters in Management. Find out more about getting a loan. Pursuing your postgraduate studies is an important investment for your future, and one which we understand takes considerable thought and planning. We appreciate that pursuing graduate studies is also a financial investment, and have a number of funding opportunities available to support students who are looking to pursue the Masters in Management. It is our aim to support students on this next important step in their business education, and on average, 20% of Masters in Management students receive a London Business School scholarship. 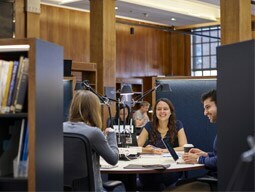 Members of the Scholars Community represent some of the brightest talent within London Business School, and in order to attract and support the best candidates we have made available a wide range of merit and bursary scholarships for the Masters in Management programme. Admitted students to the Masters in Management will be automatically considered for all merit awards (for which they meet the entry requirements e.g. gender) except for the bursaries, which require an application. Open to: All successful MiM applicants who have clear academic and professional merit and can demonstrate the ability to contribute to all aspects of the MiM programme. This will be assessed through the application submitted to the programme and interview feedback. Awards: Multiple awards with a maximum value of £8,000. Application Format: Candidates who receive an offer will be automatically considered for these awards. Open to: All successful female applicants; these scholarships will be awarded based on merit. The aim of the scholarship is to support female candidates of merit and to help increase the number of women joining London Business School. Awards: Multiple awards of up to £8,000. Application Format: Female candidates who receive an offer will be automatically considered for these awards. Open to: All candidates who receive an offer and who have a mother, father, aunt, uncle or legal guardian who is a student or alumnus/ae of a London Business School Executive MBA programme or the Sloan Masters in Leadership and Strategy. Awards: One award of £8,000. Application Format: The Admissions Team will need to receive a completed reference from the EMBA or Sloan student or alumnus/a prior to the candidate submitting their application. If you are a member of the alumni community please contact mimadmissions@london.edu for the official reference form. Open to: All candidates who receive an offer. This extremely competitive and prestigious full fees scholarship will be awarded to one candidate who can demonstrate outstanding achievements including stellar academics, extra-curricular and professional experience. Awards: Full tuition fees for MiM2018. Application Format: Candidates who receive an offer will be automatically considered for this award. Open to: All successful applicants; these bursary scholarships will be awarded based on financial need and will consider merit as a secondary factor. Awards: Multiple awards of varying amounts with a maximum value of £12,000. Application Format: Candidates are required to submit an application outlining how they plan to finance the programme. Open to: The Santander Scholarship will be awarded to candidates who are ideally residents of countries within the Santander Universidades scheme: Argentina, Belgium, Brazil, Chile, China, Colombia, Germany, Ghana, Mexico, Poland, Portugal, Puerto Rico, Russia, Singapore, South Korea, Spain, United Arab Emirates, UK, Uruguay, USA. Award: Multiple awards of £5,000. Application format: Candidates who meet the residency requirements and receive an offer will be automatically considered for these awards. Open to: Designed to support exceptionally gifted and talented Indian women who have achieved success through their own determination, ambition and motivation and have striven to succeed in their education and career. Application Format:Indian female applicants who receive an offer for any masters at London Business School will be automatically considered for this award. Funded by: LIFE (Lebanese International Finance Executives) - a non-profit organisation which provides a platform to channel the influence of Lebanese finance executives worldwide in order to establish stronger bonds, nurture the next generation and promote Lebanon. Open to: Lebanese nationals (or Lebanese descent) who wish to go into financial services. Candidates should have a strong academic performance (top 20% of their class) and be able to articulate (via interview) their reason for pursuing financial services. Application format: Lebanese nationals who receive an offer will be automatically considered for this award. The recipient of the award will be chosen by LBS and LIFE jointly. Open to: All successful Thai nationals who have clear academic and professional merit and can demonstrate the ability to contribute to all aspects of the MiM programme. Application format: Thailand nationals who receive an offer will be automatically considered for this award. Open to: All successful Indian applicants, this scholarship will be awarded based on merit. Award: Two awards of £10,000. Application Format: Nationals of India who receive an offer will be automatically considered for this award. Open to: All successful Russian applicants, this scholarship will be awarded based on merit. Awards: One award of £17,500. Application Format: Russian applicants who receive an offer for any masters at London Business School will be automatically considered for this award. Open to: All successful applicants who have clear academic and professional merit and can demonstrate the ability to contribute to the London Business School community. Open to: All successful MiM applicants who have clear academic and professional merit and can demonstrate the ability to contribute to all aspects of the MiM programme, preference will be given to those who have a strong interest in finance. This will be assessed through the application submitted to the programme and interview feedback. London life is dynamic and there’s always something to do. Before the ‘fear of missing out’ grabs you, we recommend you visit UK Studentlife and UNIAID International Student Calculator. This is a full-time programme and we do not advise students to work during their degree due to the difficulty of juggling study, job applications and School activities with a part-time job. Please note there are no opportunities for students to find work on the London Business School campus. 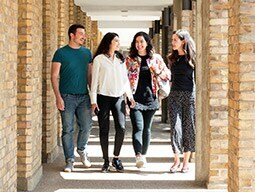 London Business School does not provide accommodation on campus, but there are a number of places available to our students at student accommodation halls around London. Details will be provided once you have been made an offer.